Being a bride-to-be myself, I am always doing research on vendors, trying to find the suitable ones. I read reviews on blogs, Facebook, Instagram and every other social media platforms but I still have questions and doubts in my head. Like, whom can I trust? Who are the reliable ones? If I could, I would get a wedding planner, tell them what I want and they will just deliver. But maybe it’s a pride thing because I just want to do the planning myself. I’m sure you might have heard the horror stories about weddings gone wrong because they engaged unprofessional vendors. Issues like missing deco team, caterer that did not cook enough, only one photographer turned up when they actually paid for two and many more happen quite often, unfortunately. 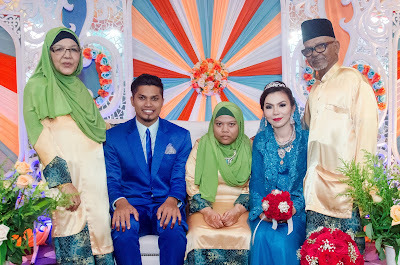 I stumbled upon D’Shootz a few months back while watching (and at the same time bawling my eyes out) solemnization videos on Facebook. 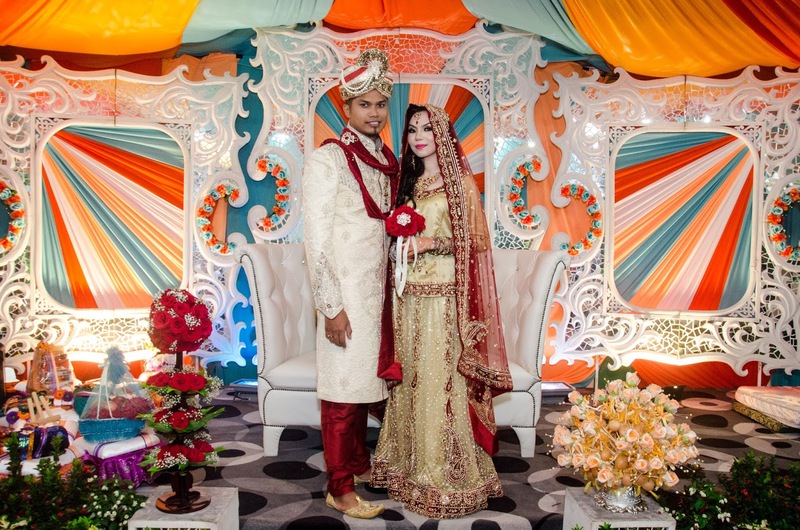 They started out with just a wedding photography service in 2000 and in 2009, their videography service was launched. I told my friend about it and she asked if I knew they recently expanded and launched D’Shootz Brides. Okay, now I really have to do a research on them! So I thought why not talk to past clients and see what they think about the vendors they engaged for their big day? That way, it will help me make decisions better. Luckily for me, I was given an opportunity to talk to one of their recent client, Nor Shafiqah who got married in May this year. 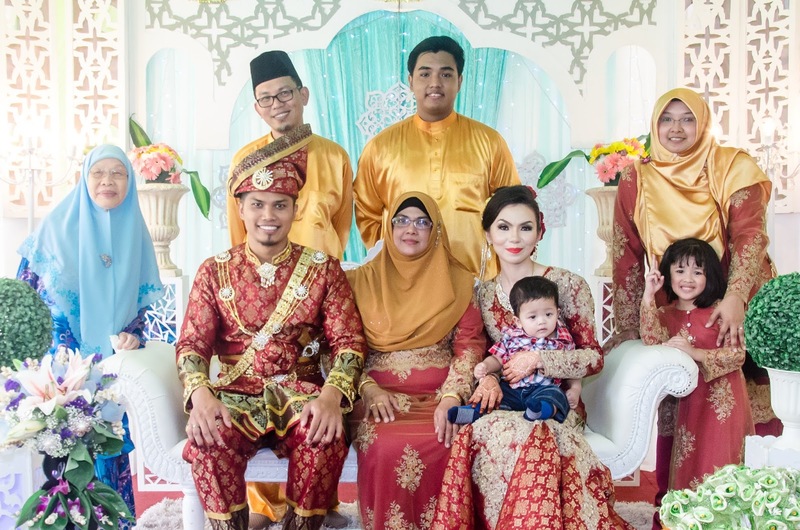 She had a 2-day wedding event and took up their photography, videography and bridal package. Perfect. I’m actually quite curious about their bridal the most. I’ve heard great things about their photography and videography services but haven’t heard so much about their bridal yet! Hi Shafiqah, so many vendors in Singapore but what made you choose D'Shootz? I saw their promotion on Facebook. It is not easy to find a photography and videography package at an affordable price nowadays. I took a look at their profile and loved what I saw. Their photos were beautiful, simple yet so eye-catching. I also found out that they have bridal services and decided to check it out. They posted some of the collections on Facebook and I fell in love with some of the pieces immediately. So I contacted Kak Airon for a meet up to talk more about the promotion package. 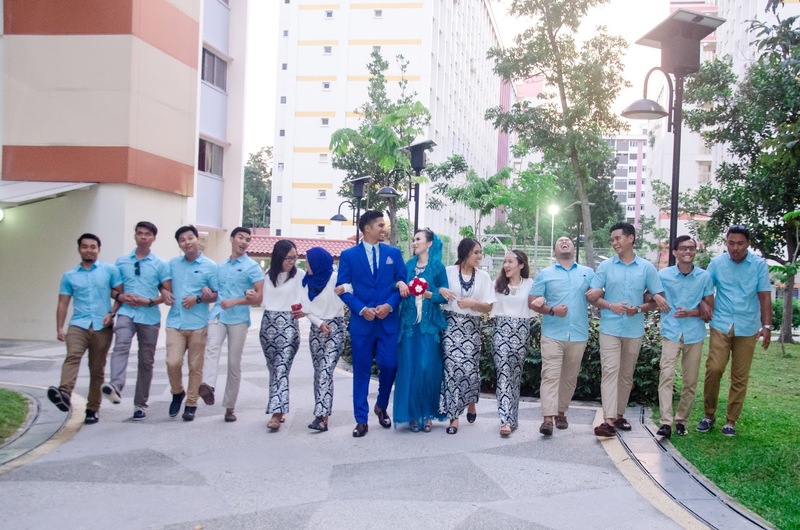 Check out Kahwin Singapura for exclusive promotions. When you planned your wedding, what was the theme you had in mind? I’m actually someone who likes fun colours and trying out new things. I didn’t plan so much. I just wanted my wedding to be a successful one. But if I had a theme in mind, it would definitely be Bollywood. D'shootz has an extensive selection of Lengha which goes with the Bollywood theme. I love the colours so much and the details are gorgeous! If I could, I would choose all. They also do customisations. So how did D'Shootz help you to make that Bollywood theme come true? Kak Airon suggested the colours for our wedding costumes so we won’t blend with the colours of the deco. She even let us try the collections 17 months prior to the wedding just so we have an idea how we would look like. I heard you took their photography, videography and bridal services. Which one of the services did you think was up to your expectations? To be honest, almost everything was a surprise to my husband and I. We really didn’t expect so much when we took up their package. But they came with 2 photographers and 1 videographer, which is superb. We love the outcome of our photos so much! Like I said, simple yet eye-catching. Even my family loves the photos too. Every moment was captured nicely. Alhamdulillah. How would you rate their services? Did D'Shootz have a wide variety of dresses? What were the dresses you chose for your wedding? They have a wide variety of costumes to choose from and they are always adding new designs. In addition to that, the rental costs are affordable too! It is definitely a good choice for those who want to save. 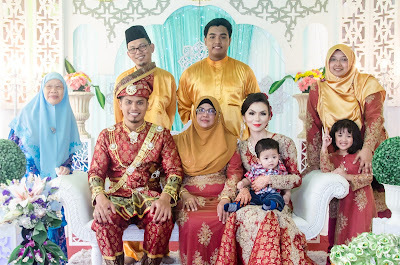 For songket lovers, they will definitely go crazy since they have all colours and styles. 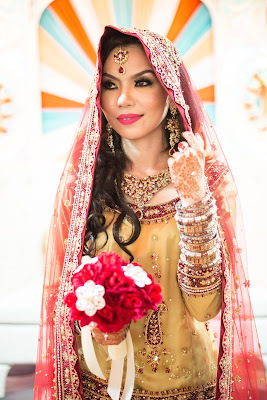 For me I chose red and gold beadings Lengha for the solemnization ceremony, a red and gold modern style songket for the reception and a blue and turquoise dress for the cake-cutting session. Were you happy with the final outcome of the videos and photos? Yes, I am, definitely. Like I mentioned the photos are all so nice and every moment was captured nicely. Great job! Were there any hiccups involving the photographer/videographer/bridal during the wedding day? How did D'Shootz overcome that? Actually we don’t have that much of a problem on both days. All went as planned. Now that you asked me, I just realised everything went very well. Alhamdulillah. Would you recommend D'Shootz to others? Yes I will! In fact, I already recommended them to my friends and cousins even before my wedding day. Kak Airon and Abang Lutfi were so friendly and easy to talk to. They produce great shots and videos at affordable prices as can be seen from their portfolio. Why wouldn’t I recommend them? After listening to her, I would definitely say D’Shootz is a good choice. I mean with 3 important services under a vendor, it makes the planning easier right? Okay, adding them to my list in the wedding notebook! To read more bridal reviews, head to http://www.kahwinsingapura.com/.